Life moves a little slower in charleston, and that's exactly how you should enjoy this cocktail. 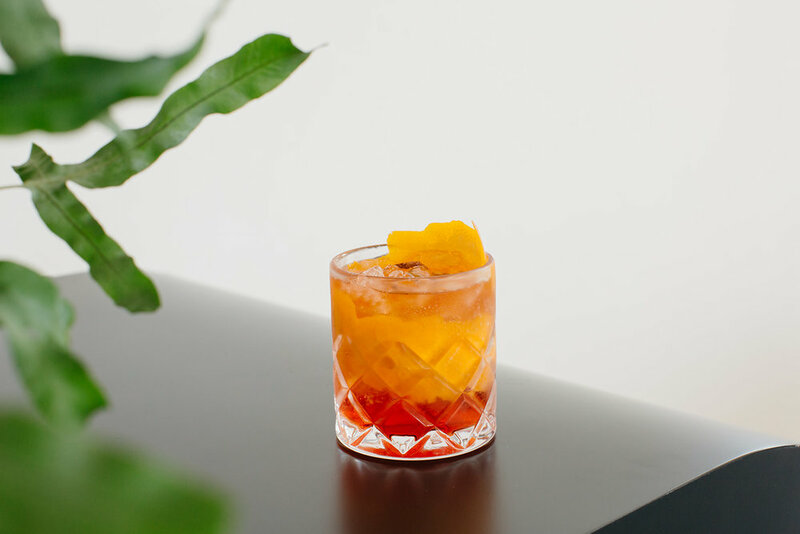 it's based on the classic 'Americano' cocktail, using lemon laurel soda in place of carbonated water to add citrusy brightness and smooth vegetal qualities. This drink is slightly bitter and highly crushable. Perfect for porch sipping on a sunny day. Combine vermouth, Campari & ice in a rocks glass. Stir gently a few times. Top with Lemon Laurel soda & garnish with an obnoxiously large twist of orange peel.